Soft-baked peanut butter s’mores cookies loaded with melted marshmallow and chocolate. No need for a campfire for this dessert recipe – bring your summer s’mores inside! How was your weekend? You are going to go bonkers over these Peanut Butter S’mores Cookies. I had a great day on Sunday. Mr. Wishes took me on a surprise date out to the Finger Lakes (Seneca Lake) to a vineyard. It was a beautiful drive out there and my first time doing a wine tasting. We also had lunch out on their patio overlooking the vineyards and the lake. Gotta soak up as much summer as I can get! Speaking of summer, I love anything to do with s’mores this time of year, especially while sitting around a campfire. 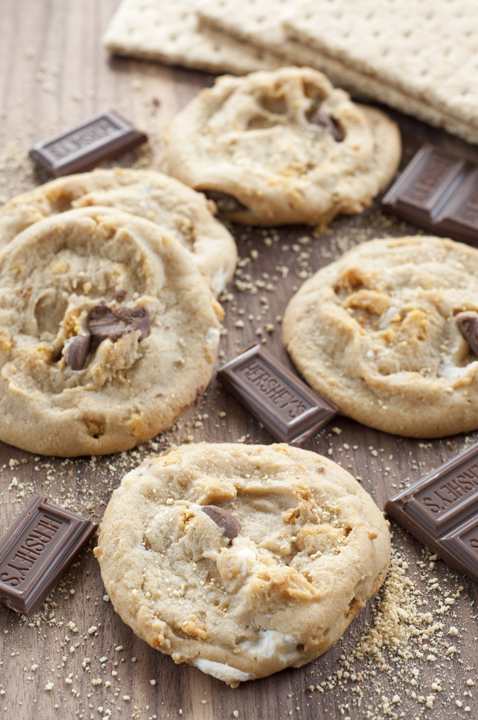 With this Peanut Butter S’mores Cookies recipe, you just need your oven…no campfire required. They are a sturdy peanut butter cookie, but have a chewy texture. Chocolate, graham cracker, peanut butter, and marshmallow… this is the stuff dreams are made of. If you love s’mores as much as I do, check out this S’mores Pie and this S’mores Fondue! If you’re a peanut butter cookie purist, you’ll love these 3 ingredient Peanut Butter Cookies from my friend Mary. Soft-baked peanut butter s'mores cookies recipe loaded with melted marshmallow and chocolate. In the bowl of a stand mixer, add butter, peanut butter, light brown sugar, sugar, egg & vanilla. Beat on medium high speed until light and fluffy- about 5 minutes. In a separate bowl, whisk together flour, cornstarch, baking soda, & salt. Reduce mixer speed to low and add flour mixture a little at a time to the butter mixture until just incorporated. Don't over-mix or cookies won't be as soft as they should be. Remove bowl from stand and add in graham cracker pieces, chocolate chips, & marshmallow bits. Gently fold into the cookie dough until fully incorporated. Using a cookie scoop or your hands, form balls of dough approximately 2 tbsp. in diameter. Place dough balls onto a plate. I got 19-20 balls of dough. 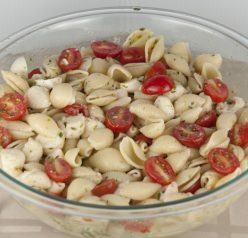 Cover dough balls with plastic wrap and place in the refrigerator for at least 2 hours or overnight. (You can also freeze them at this point if you wish). Preheat oven to 350 degrees. Remove cookie dough balls from refrigerator and let them come to room temperature (about 15-20 minute). Line a baking sheet with parchment paper or silicone baking mat. Place dough balls 2 inches apart. Bake for 8-10 minutes, rotating cookie sheet half way through. Bake until edges are lightly golden and centers are just beginning to set. Allow cookies cool on baking sheet for approximately 5 minutes then transfer to cooling rack to cool completely. Cookies will firm up as they cool. I’ve also had s’mores on the brain lately. Love the addition of PB to the mix! I was eyeing a s’mores cookie recipe the other day and you’ve upped it a notch with the peanut butter! These look so soft and delicious. Keep enjoying the summer! Aww – that was a heck of an awesome Sunday! Glad you enjoyed your surprise date! Speaking of enjoying stuff – I know I could enjoy a dozen of these – and feel no regret! 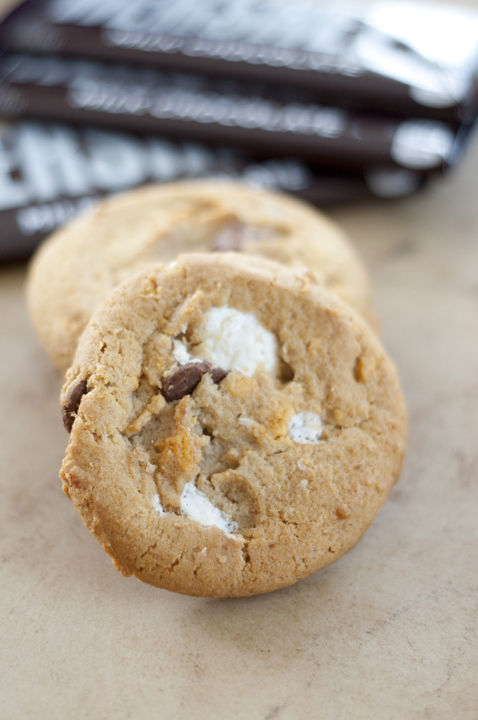 Smore’s cookies sound like one heck of an awesome cookie! How sweet, I bet the vineyard was so nice! 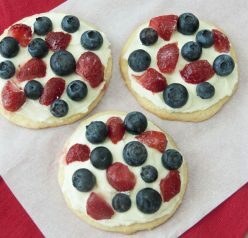 I am also holding onto summer for as long as I can, starting wight these cookies! YUM! I love to s’mores all the things. These cookies look sooooo good!! What a fun sounding weekend! I love going to wineries but haven’t been in so long! And these cookies sound fantastic! 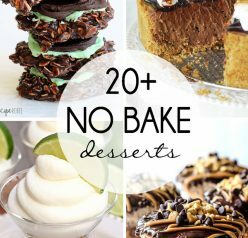 omg these look dangerously good! gotta love pb + chocolate, but with marshmallow, too? I die. S’mores are my go-to guilty pleasure snack. 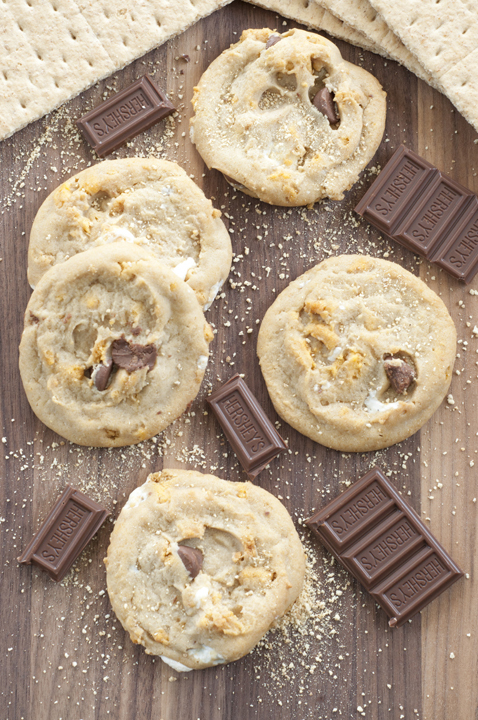 S’mores flavors in a cookie takes that near-constant craving to the next level. And YES! I’m totally trying to soak in the last bit of summer! Wine tastings and s’more cookies are exactly what I need! Surprise dates are the best and even better if you’ve got these cookies to nosh on! The Finger Lake region is so gorgeous! Lucky you! And lucky us if we make this wonderful cookies — they look terrific. Thanks! That sounds like the perfect summer Sunday to me! And oh my gosh, I have to make a batch of these cookies, my kids will flip. As if smores aren’t good enough, you turned them into cookies and added peanut butter. OMG! Oooh. A surprise date! You lucky girl. 🙂 And these cookies look so, so good. So soft and chewy! Oh man! A surprise date….I’m totally down with that 🙂 I think my husband needs to read this post…haha. LOVE anything s’mores because who doesn’t love marshmallow and chocolate? These look so good! S’mores are the best!